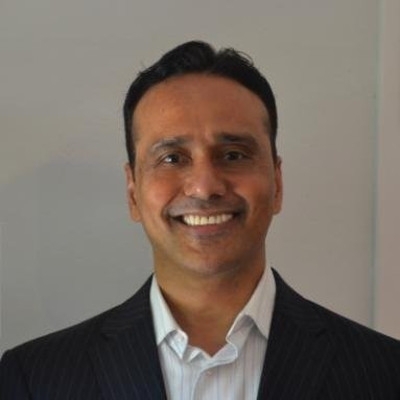 CO-FOUNDER, PRESIDENT AND CEO, AKITRA INC.
Naveen Bisht has over 20 years of experience as an entrepreneur and advisor to startup companies. Currently, he is Co-Founder and CEO, Akitra Inc., an AI-based infrastructure software startup and Co-Founder, Auriss Technologies Inc. Prior to this, he was Co-Founder and CEO of Straks!, Inc, a real-time mobile commerce infrastructure software, CEO of SecurAct, Inc., a cloud security startup, and Founder, President and CEO, of Nayna Networks, Inc., a broadband access and networking technology, where he raised over $80 Million dollars from VC and PIPE firms and completed merger into a public company. Previously, he was Founder and CEO of Ukiah Software, Inc., a leader in policy-based security and firewall software acquired by Novell, Inc. Ukiah received a number of awards including Top 10 companies to watch by Network World and Top 25 Hot Startups by Data Communications Magazine, Hot Product Awards by Data Communications Magazine, Product of the Month Award by Telecommunications Magazine and Network World´s Blue-Ribbon Award. Prior to this, he was Founder and President of NeoGlobal, Inc, a software development services company focused on internet security, enterprise software and networking market. He also served as Chair, Programs and Board Member, TiE Silicon Valley, a global non-profit organization focused on fostering entrepreneurship, from 2011-2015 and Content Chair, TiECon 2014 and 2015. He holds MS from Texas Tech University, MS and BSME from Birla Institute of Technology & Science. He also attended Ph.D. program at University of California, Santa Barbara and holds several patents in the area of firewalls and security software. He has published a number of papers on entrepreneurship and trends and issues in networking industry.